Australian Shepherds are vigorous, well-proportioned and rustic dogs—a little longer than tall. Their slightly domed heads and medium-length muzzles are about the same length, with almond-shaped eyes that can be blue, brown or amber. Their ears are triangular and set high, their chests are deep and their tails are straight and naturally short. They have a weather-resistant coat with a moderate texture, creating a little bit of a mane. Their hair is short and soft around the head, ears and front legs. 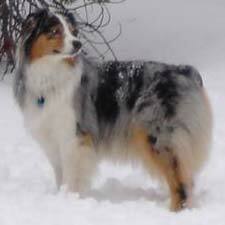 Australian Shepherds can be found in black, blue merle, red merle, solid-red or red with white and/or tan markings. Overall, Australian Shepherds have strong, square, balanced frames. What are Australian Shepherds like to live with? Photography by Eric Isselee / Shutterstock. 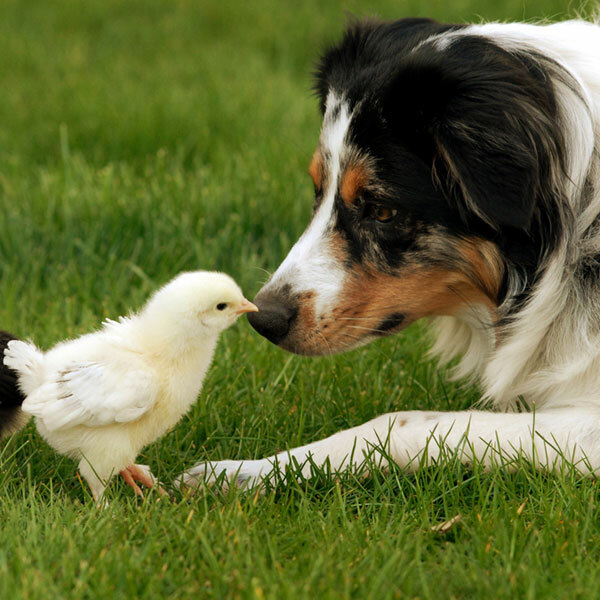 What is the Australian Shepherd temperament like? 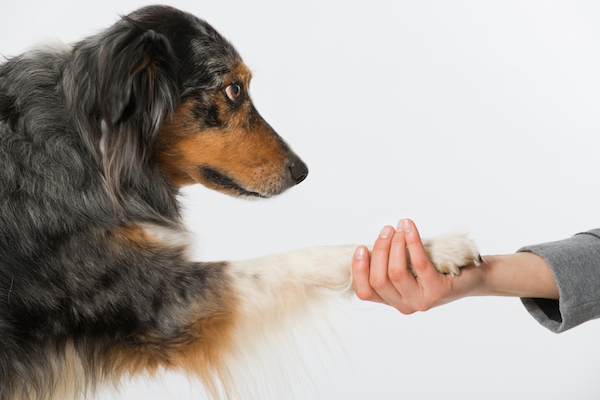 Australian Shepherds are loyal, dependable, easygoing companions. When it comes to their love of play, they never really outgrow the puppy stage. For this reason they are excellent with children—and the more active, the better. But they have a gentle nature that prevents their play from ever getting rough. They are also eager to work: Give them a job and they’ll get it done with loads of energy to spare. Australian Shepherds can be a little standoffish at first. Given time, however, they will become comfortable with new people and come out of their shells. They have excellent guarding instincts and a strong sense of loyalty to their families. Australian Shepherds will bark when strangers approach the house, and they’ll sometimes run a few laps around the house for good measure. Australian Shepherds are working dogs, so they can get a little stir-crazy if left indoors for too long. Photography by Tracey Helmboldt / Shutterstock. Like most herding breeds, Australian Shepherds have a strong work ethic. They love having a job to do. Left alone indoors for too long, they can go a little batty. For this reason, they are not really suited for apartments. Take them out to work in the field or for a long run in the woods—the activity and mental stimulation will result in a very happy Australian Shepherd. Some Australian Shepherds retain strong working-dog genes. This makes them more eager to be in the field and less eager to hang out with the family. These dogs are more inclined to herd people and nip at heels to keep everyone moving, but with proper training these quirks can be worked out. A healthy Australian Shepherd can live as long as 15 years. Common health issues include hip dysplasia, cataracts and hypothyroidism. Australian Shepherds don’t shed excessively and only need occasional brushing. Australian Shepherds actually weren’t developed in Australia. Photography by Dora Zett / Shutterstock. 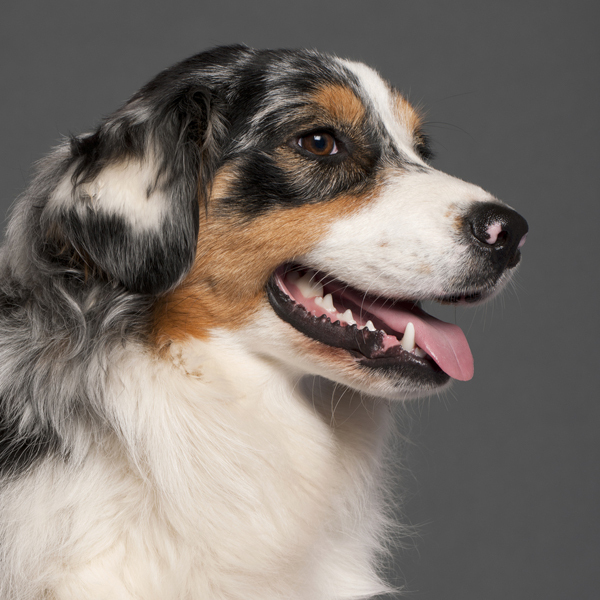 The Australian Shepherd we know today was developed mainly in the U.S. In fact, this breed has no real connection to Australia. Originating in the Basque region between Spain and France as a working dog and sheepherder, the breed drew the name “Australian Shepherd” because many of the Basque shepherds came from Australia. Australian Shepherds became more popular in the mid-twentieth century, favorites of ranchers and cowboys for their unique herding talents, but did not enter the AKC Stud Book until 1991.